Just sharing a quick little project today. 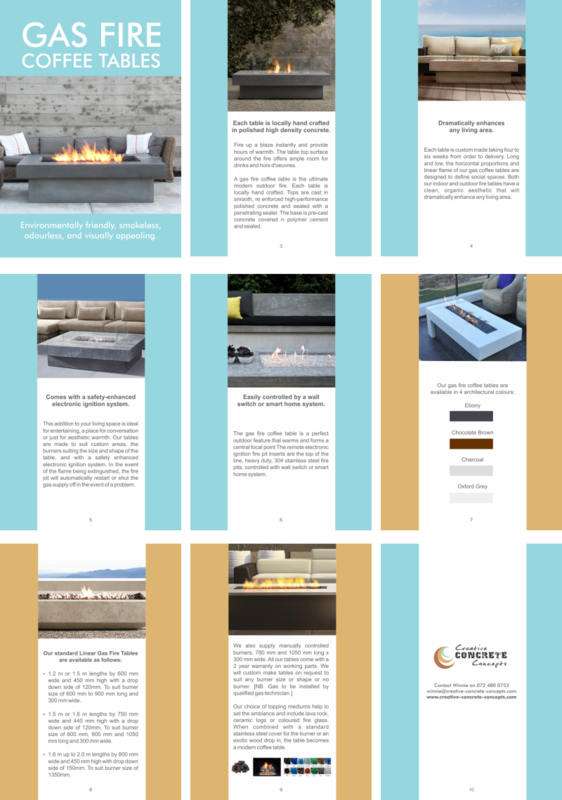 It's a 10 page digital catalogue we put together for Creative Concrete Concepts for their gas coffee tables. We've made the design really simple so that the images stand out. The client had 2 pages of text that he needed spread over 10 pages for an online flip book. You can see the page layouts below, and the live version here.